Or as we like to call it here at our clinic, the luxurious and desired Laser Facial! 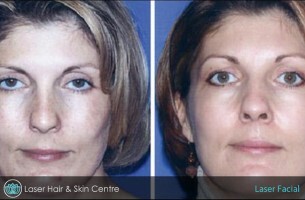 Let your worries fade away, because here at the Laser Hair & Skin Centre, we want you to feel as fantastic as you look. The world of innovation is in the palm of our hands so that no one should have to worry about flaws that have the power to dull, and ultimately devastate our complexion. 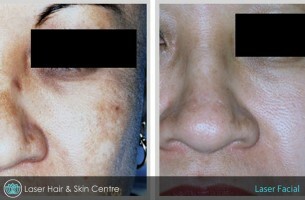 For over a decade the laser centre has dedicated its mission to being the place that our clientele can come to with any of their skin or hair-free worries, and with accompanied help from our dedicated laser technicians and industry educators, the results and research has come to pay off. Let us offer you a glow unlike you have seen in your skin before. Our Laser Facial, delivered by only the finest of Leading Medical Grade Laser Equipment, corrects so many of those pesky, and confident dampening imperfections. 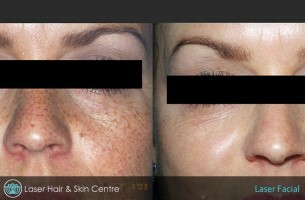 The gentle beam of laser light penetrates through the layers of the skin with quick and advanced wavelengths to stimulate collagen, vibrate and breakdown pigmentation, to tighten, fill, lighten and even out even the smallest of skin concerns, leaving results that speak volumes. The course of treatments may vary, but typically we see the best results after a series of 4 Laser Facials, between one week and up to a month apart. Packages are available for cost effective savings, but furthermore to ensure you stay on the treatment plan your laser specialist will recommend for you after your free consultation, addressing any and all concerns you have. Treat your skin the radiance that is so rewarding, but masked away.